Global Media Makers: Nine Key Takeaways from Our 2017 Fellows about Their Time in L.A.
On a hot morning in early June, Cigdem Mater sits on the lawn of the Culver Hotel. Mater is a filmmaker from Turkey and a 2017 Global Media Makers Fellow. 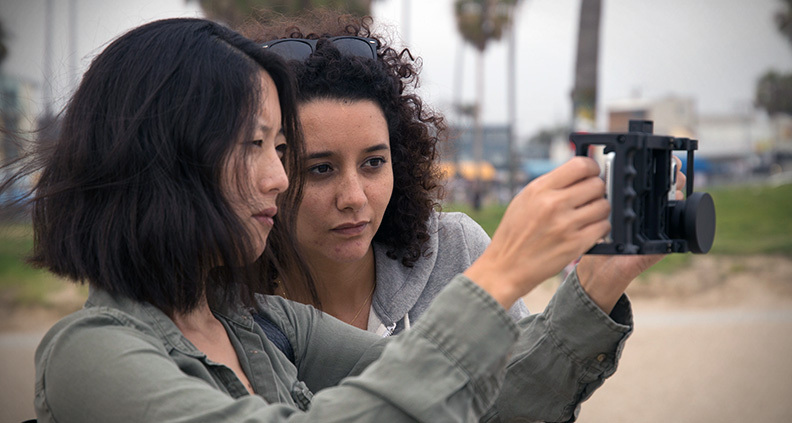 She’s been in Los Angeles since early May completing the international filmmaker exchange program’s six-week residency. Now in the sixth and final week, she sits across from the program’s core team to recount her experiences. “I want to go back to my notebooks and look at the notes I took during the last five weeks,” she says. “It was a very fast-paced program. More like an M.A. program!”–an idea echoed over and over again by the 16 filmmakers who came together from seven different countries as part of this year’s Global Media Makers Residency. 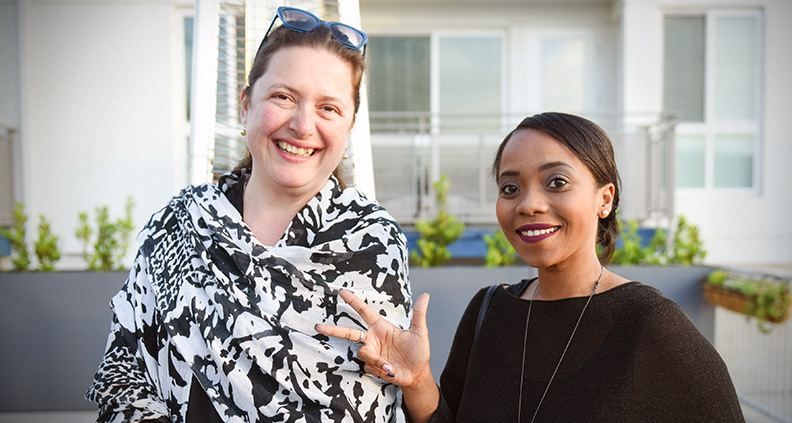 The program, now in its second year, is an innovative mentoring program that fosters creative connections between visual storytellers from around the world and leading U.S. entertainment professionals. It is supported through a partnership between Film Independent and the U.S. Department of State’s Bureau of Educational and Cultural Affairs. Film residency programs and Fellowships do a few things: they support filmmakers in doing a deep dive into their projects; they provide education about the business of filmmaking; provide mentorship; give the filmmakers opportunities to collaborate with other filmmakers; they challenge filmmakers to create new work; help filmmakers develop new skillsets and tools. Most programs do one or a few of these things. Global Media Makers does them all. 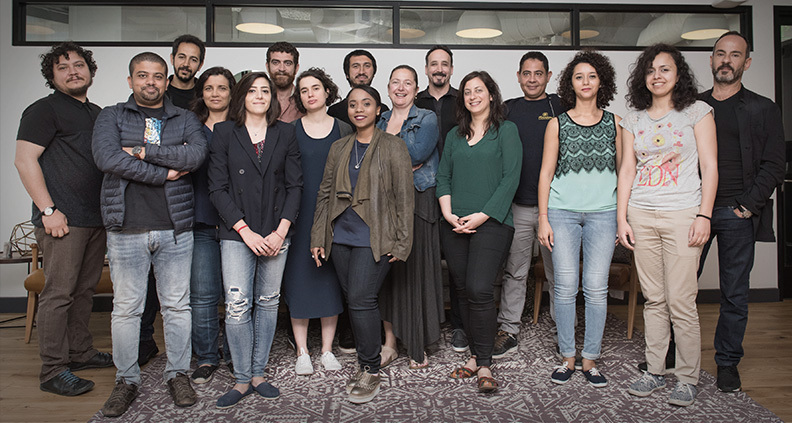 This year’s Fellows—most of whom are alumni of prestigious film residencies around the world—felt it was this “immersive” and “intense” nature of the experience that made GMM unique among other film programs. 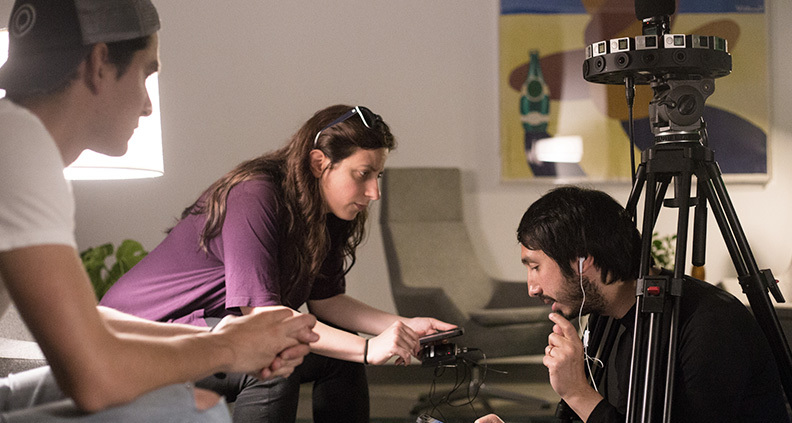 This year, Global Media Makers introduced a virtual reality workshop. 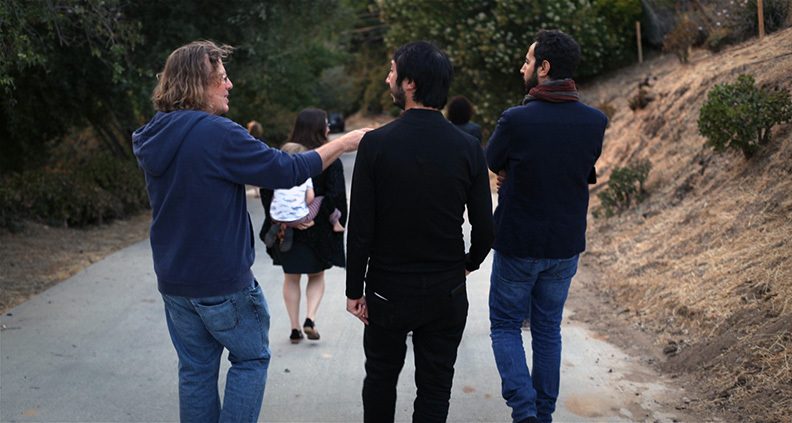 Supported by Google and in partnership with sound studio One Thousand Birds, the program saw filmmakers and creatives from the US, Turkey, and Jordan come together to create two VR shorts: one about LA’s underground music scene and an experimental sci-fi film about A.I. trying to communicate with humanity. Google donated a state of the art Odyssey VR camera- which is what the Fellows used to shoot these visual essays. The footage was stitched together through Google’s Jump Assembler. Three of the four Fellows (and several key US crew) had no prior VR experience. After a very successful first year, GMM’s Collaborative Workshop saw the production of eight short films, ranging from three to 18 minutes, on subjects as diverse as street signs and skateboarding. 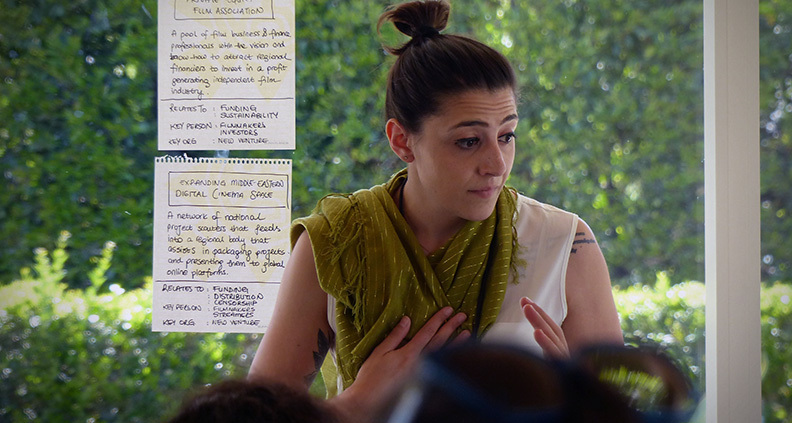 Each filmmaking team comprised a Global Media Makers Fellow and a Film Independent Fellow. 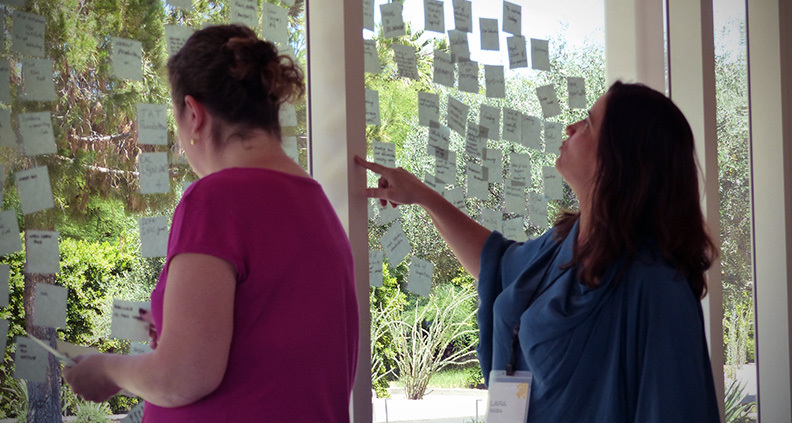 The teams spent a few weeks creating short films about the GMM Fellows’ impressions of LA…. all shot using the iPhone. Filmmakers aren’t just satisfied with being content creators any more. They are institution-builders and want to have an impact on the way films are made in their countries. Sharing his vision for the future, Cemre Kultuay—a physicist-turned-producer from Turkey—explained how he hoped to bring about change in the way film investment is structured in the country. Aysha El-Shamayleh—a beat poet, writer and co-founder of the Jordan-based company Writers Cell—is drawing up plans to create a culture of modern television in the region. Rami Yasin—a prolific producer and emerging director based in the UAE—hopes to create an initiative that would act as an incubator for independent films and new voices from across the region. The sixth week of this year’s Global Media Makers Residency overlapped with the LA Film Festival. Several Fellows participated in various Festival panels and special events. Speaking at the Global Media Makers Panel Storytelling from the Inside Out, Fellow Hossam Elouan (Egypt) spoke about the challenges faced by independent Egyptian filmmakers, who are attempting to bring different voices to the screen. He also spoke of the faith and courage it takes to be an independent filmmaker and how important it is to have resilience and…a sense of humor! His sentiments were echoed by other Global Media Makers Fellows on the panel: Nejib Belkadhi (Tunisia), Rami Yasin (UAE) and Anna-Maria Aslanoglu (Turkey). 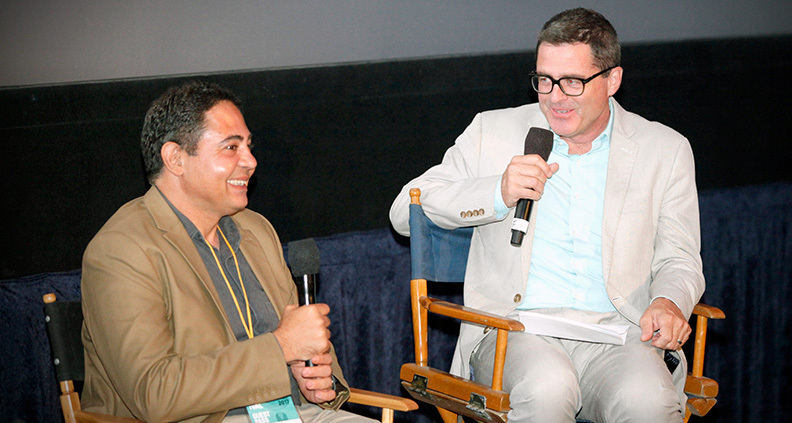 Elouan was also the producer of the award-wining Egyptian film Ali, The Goat and Ibrahim, which screened immediately before the panel. For more information about the Global Media Makers program, please visit our Global Media Makers page. 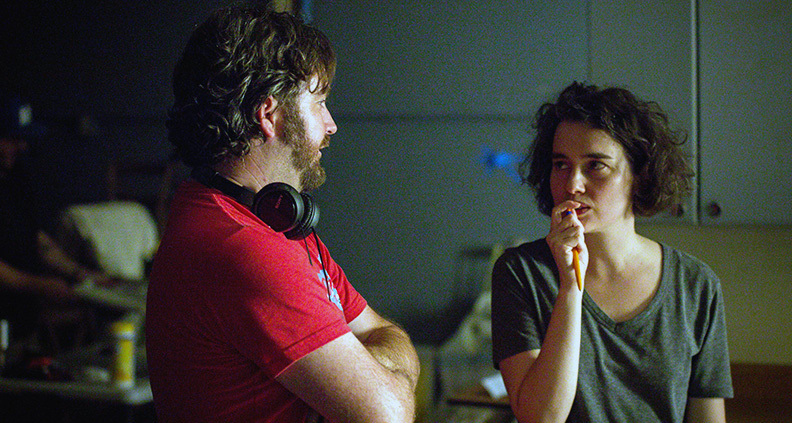 To learn more about Film Independent’s myriad Artist Development programs, click here. To learn more about this year’s Fellows, click here.